Read Dune – Actually, I’m not sure why I haven’t yet. I love the mini-series. The book has to be better. Read a ridiculous romance novel – I’ve never done it, because I reach a point where I start to question what I’m doing with my life and why I am bothering with this. I think there are romances worth reading out there, and I will find one that captures me and pulls me in. Visit Harry Potter World in Orlando – No explanation needed. Write a full-length Lois and Clark fan fiction – Call me silly, but I love these two. I think their relationship is so versatile and there’s so much you can do with it. I’ve kind of built up my own little world for them in my head, and I’d love to put it in writing in a full-length story. Visit Egypt – My desire to go to Egypt only increased when I got into the Amelia Peabody books. I need to see these archaeological gold mines. Brush up my Biblical Hebrew – I love studying the Bible in Hebrew. The complexity of Hebrew words gives greater depth to the text than I think we can get in English. While most of my Hebrew grammar is intact, my vocabulary is lacking. I’d really like to be able to read it again. Get all of the ‘unfinished’ bookmarks out of my bookshelf – I have dozens of unfinished books on my shelf, unfortunate causalities of my ADD. I would love to get them read for reals. 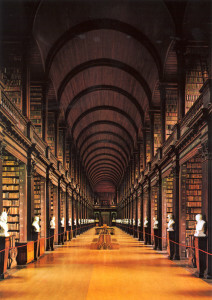 Go back to the Trinity College Library – All I got to do on my first visit was see the Book of Kells. 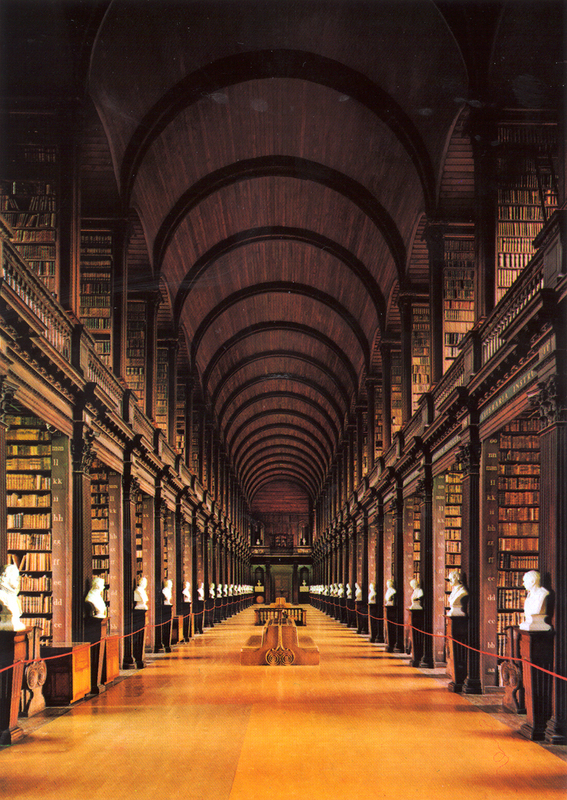 Now, I’m not saying that wasn’t AMAZING because it was, but I feel like that library is treasure trove just waiting to be tapped. Dress up like a ghost in the NYPL – I feel no shame for this bucket list item. Discover a technology to create Reading Amnesia, so I could read my favorite books for the first time again – It could happen. I want to go to Orlando to see the WWoHP, but I am so afraid that i’ll leave disappointed. My desire of want I would want to see is a bit unrealistic for a theme park think. Still though, one day I will give it a shot.